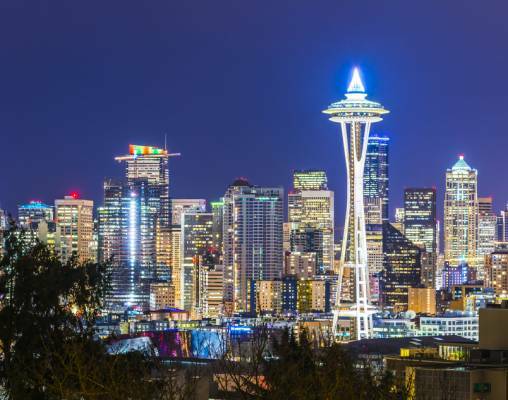 Kick off your holiday excursion with a tour of Seattle, full of wonderful holiday attractions. Experience downtown, the waterfront, and Pioneer Square, including the famous Space Needle. In your free time, explore the city's wonderful Winterfest. Next, head inland to Snoqualmie Falls for an amazing winery tour. 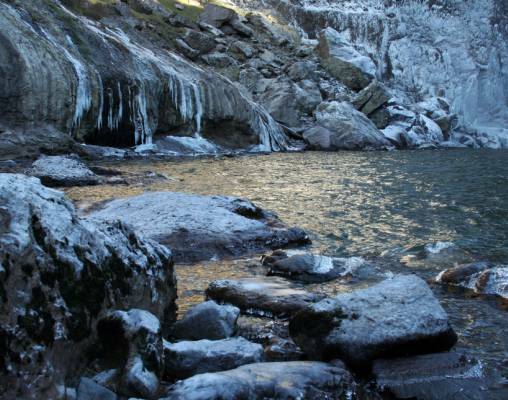 This sightseeing excursion will lead you deep into the rolling Cascade foothills. Then take a beautiful train ride into Canada as you travel to Vancouver. The Capilano Suspension Bridge Park is decked out in color and lights making for a festive setting for your tour. 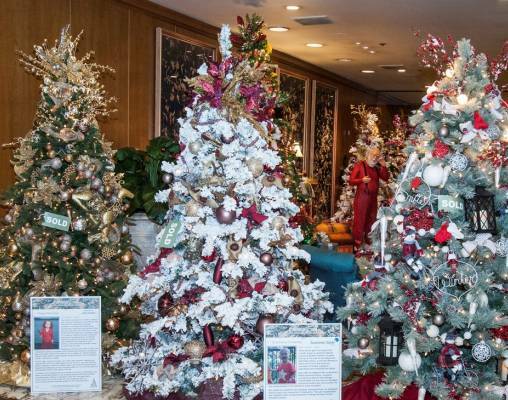 Stroll through towering trees, including the world's tallest Christmas tree! Finally, enjoy a daylong tour of Victoria & Butchart Gardens. The Butchart Gardens has a special Christmas Tour that provides a festive feel among the wreaths and carol-singers! Don't forget to check out Vancouver's Christmas Market. 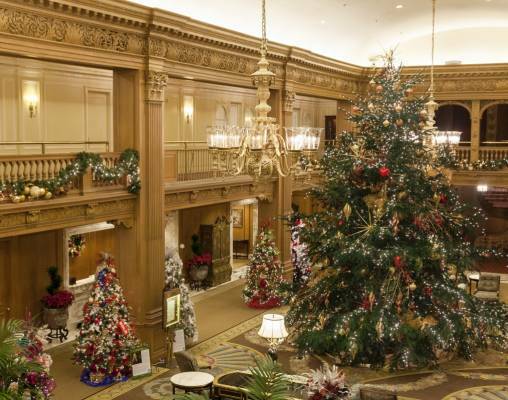 Arrive in Seattle and settle into the Fairmont Olympic hotel, which is decked out for the holidays. Overnight in Seattle. Experience the best of Seattle on a 3-hour small-group minibus tour in and around the Emerald City. Visit great attractions in downtown Seattle and at the Seattle waterfront. Travel to Pioneer Square, Chinatown, and the International District, plus Seattle Center with the iconic Space Needle. Overnight in Seattle. Escape to the beauty of Snoqualmie Falls, one of Washington’s most popular scenic attractions, on a 6-hour winery tour. Visit an independent, family-run winery as well as the beloved, world-class Chateau Ste. Michelle, Washington’s oldest and most acclaimed winery. The tour travels over Lake Washington on Seattle’s famous Evergreen Point Bridge, the world’s second-longest floating bridge, to Woodinville, home to dozens of Washington’s 700 wineries. Overnight in Seattle. This morning transfer on your own to Seattle’s King Street for your morning train departure. Enjoy the landscape rolling by your window as your train hugs the coastline on its way north to Vancouver. 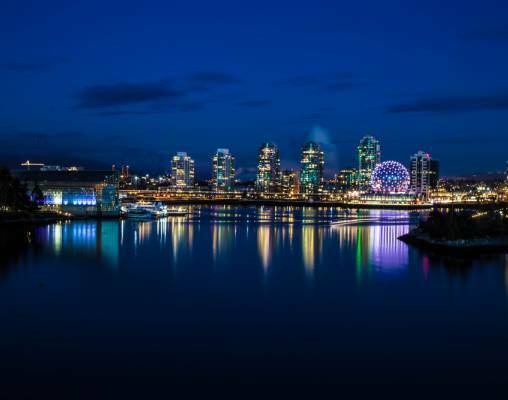 You will arrive into Vancouver by mid-day and will have the remainder of the day to explore the city. Overnight in Vancouver. Immerse yourself in the magic of the season at Vancouver’s Capilano Suspension Bridge Park! Take a whimsical tour of the forest bedecked in color and light, and admire the gorgeous decorations as you cross the suspension bridge. Enjoy bird’s-eye views from the glass-bottom Cliffwalk. Overnight in Vancouver. Enjoy a festive buzz in British Columbia on a 12-hour Victoria and Butchart Gardens Christmas tour from Vancouver. Take a 90-minute cruise through the Gulf Islands and watch the waves for native marine wildlife as you enjoy panoramic coastal views. In Victoria, explore the vibrant shops and cafes of Government Street, Chinatown and the Inner Harbor under the twinkling Christmas lights. 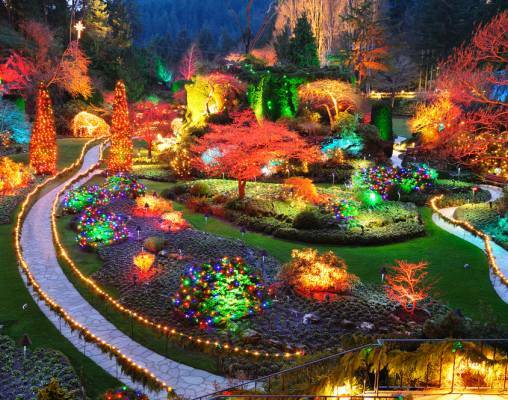 Visit Butchart Gardens, famous for its themed flower beds and attractive statues, and decorated for the holidays. Overnight in Vancouver. Enjoy your final time in Vancouver before you return home. Hotels included the Fairmont Olympic in Seattle and the Four Seasons Vancouver. Train accommodations will be in Coach Class which offers theater style seating, or family style that accommodates up to four people at a table. Coach amenities include free Wi-Fi, reclining seats with seat back trays, reading lights, and power outlets. Hotels include the Fairmont Olympic in Seattle and the Four Seasons Vancouver. Train accommodations will be in Business Class which offers the same amenities as Coach as well as complimentary newspapers, priority boarding and detraining, wider seats with more leg room, and fewer passengers in each car. Enter your details below if you would like to be notified when 2020 dates and prices are available for Pacific Northwest at Christmas Time. Capilano Suspension Bridge and Park, Victoria and Butchart Gardens Christmas Tours do not operate on December 25th.